A man who shot at two passing vehicles from his residence will serve at least one year in prison after he pleaded guilty to three felony charges Tuesday. 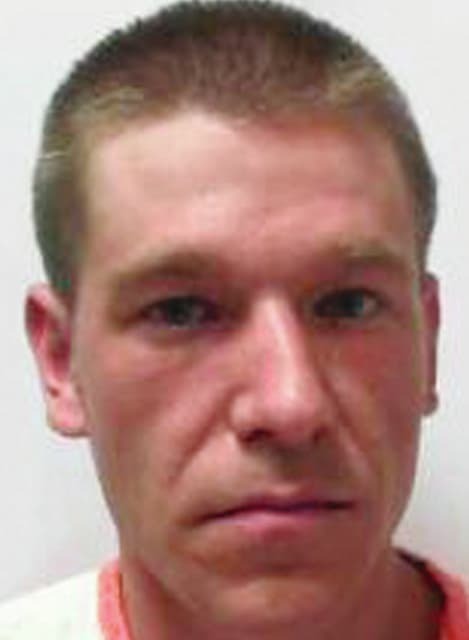 David M. Armstrong, 28, of 11253 W. state Route 29, Conover, pleaded guilty to one count each of attempted felonious assault with a one-year firearm specification, attempted felonious assault and aggravated possession of drugs, stemming from conduct on May 15. Armstrong was arrested on that date after Champaign County deputies responded to his residence on a report of shots fired at a vehicle. Law enforcement found that Armstrong fired a .223 caliber assault rifle from his property and struck two vehicles. One vehicle was occupied by one male driver and the second vehicle by a female driver and a 2-year-old child. No injuries were reported. The sheriff’s office shut down state Route 29 at the railroad tracks in Rosewood and state Route 29 at state Route 235 to prevent any vehicles from traveling in front of Armstrong’s residence. An AR-15 style rifle along with other firearms and several hundred rounds of different caliber ammunition was found in his residence. A bill of information bringing the three charges against Armstrong was filed by Champaign County Prosecutor Kevin Talebi. Prior to pleading guilty to the charges, Armstrong signed a waiver of grand jury indictment form. A sentencing hearing is scheduled for Aug. 3. Armstrong faces a potential maximum consecutive sentence of eight years in prison and a $22,500 fine. Champaign County Common Pleas Common Pleas Court Judge Nick Selvaggio explained the firearm specification holds a mandatory one-year prison sentence that will be consecutive with the sentence Armstrong receives. He is also subject to a driver’s license suspension. Armstrong’s $500,000 bond from the Champaign County Municipal Court proceedings was continued. He remained in the Tri-County Regional Jail, Mechanicsburg, as of Tuesday afternoon.